While there are some out there that like to see a divide between sports fans and Star Wars, there's a lot more crossover between the two groups than some would care to admit. Case and point, Oakland A's relief pitcher Sean Doolittle. 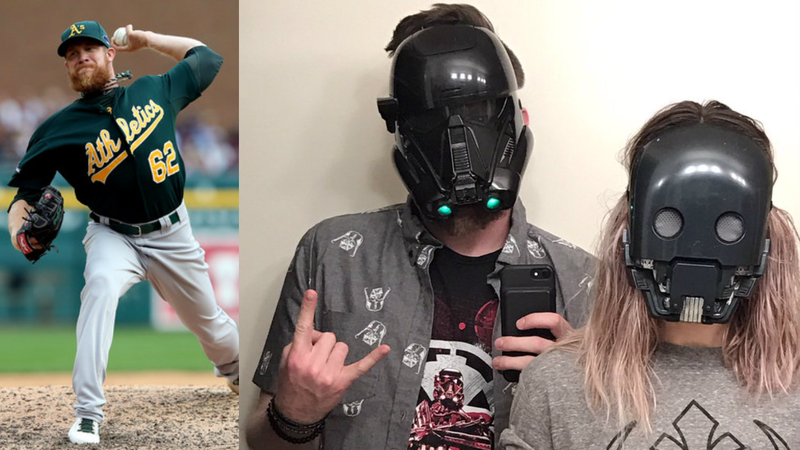 Doolittle is a massive Star Wars fan, frequently posting about it on social media and even reviewing Rogue One: A Star Wars Story for MLB.com. Doolittle managed to bring his Star Wars passion into a life changing moment, when he proposed to his girlfriend Eireann Dolan. Dolan frequently features in Doolittle's Star Wars posts "tolerating" (her words) his fandom. 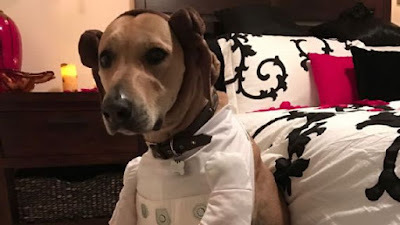 "An unabashed Star Wars nerd, Doolittle dressed the couple's dog, a Rhodesian Ridgeback named Stella, as Princess Leia and stationed her next to an R2-D2 replica doll to lure Dolan into a room filled with candles, where he presented her with the bauble and uttered, "'Marry me, Eireann. You're my only hope.'" Fortunately, she said yes! And really, how could she not? Congrats and May the Force be With You Sean and Eireann!